Regardless of the weather or the season, there's always fun for the entire family at Pigeon Forge's newest amusement park, Bear Country. 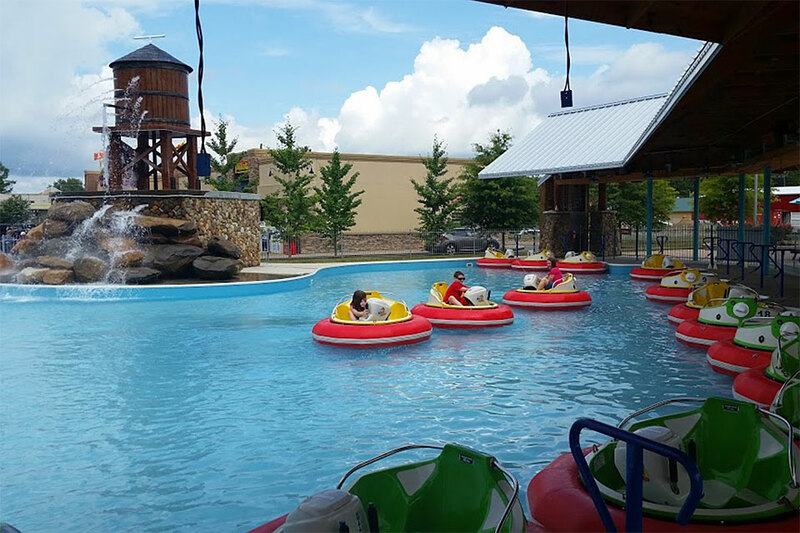 Specifically designed to offer thrills for little kids up to adults, Bear Country is an affordable and memorable way to enjoy an afternoon. Sure, several parks in the Smokies have go-karts, but do they have three-story tracks? Big Bear offers a sky-high view while you're racing around the three levels of this exhilarating track. Choose a single kart to go it alone or double up for bigger thrills with a kart that holds two passengers. What better way to cool down on a hot summer day than drenching (and being drenched by!) your family and friends? Blaster Boats lets you set sail on Bear Country Lake to bump and blast until your sides hurt from laughter and you're soaked to the skin. If you're headed to dinner after your day of water works, you might want to bring a change of clothes! Who doesn't love a carousel? This most traditional of amusement park rides is still just as much fun today as it was when it was invented in the 1700s. Step right up and select your mighty steed (or a rooster or any of the other fun critters). And ... they're off! The whole family will want to ride this classic ride again and again. Whether it's a rainy or snowy day, or a summer afternoon that calls for an escape from the heat, this indoor arcade offers hours of fun and prizes! From the most popular video games to classics that Mom and Dad will remember, your hand-eye coordination and skills will be put to the test. Those who come out victorious walk away with some sweet swag! With one of the biggest prize closets in the Smokies, you'll be impressed with your winnings. Snacks are available onsite and restaurants are close by, which makes Bear Country Fun Park an easy place to spend a few hours or an entire day. With action, fun, and games, be sure to bring your camera to capture your family's latest adventure. Bear Country Fun Park is open seven days a week from 10 a.m. to 10 p.m. near traffic light #10 on the Parkway. Making plans to book a Volunteer Cabin Rental soon? 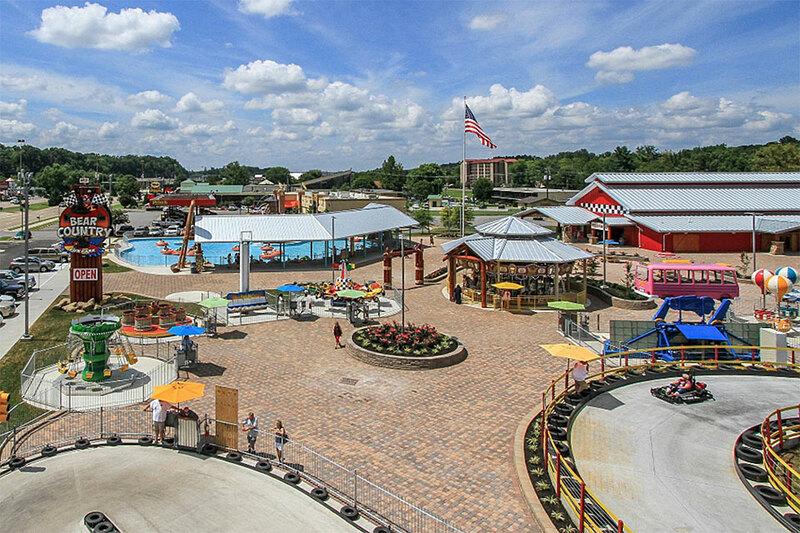 Add Bear Country Fun Park to your list of must-do activities. It's tons of fun during the day and even more under the sparkling lights at night.